In the 'Interview with a Legend' series RØDE Microphones' founder and director Peter Freedman hosts an intimate discussion with icons from all areas of the audio industry including Engineers, Producers, Musicians, Artists and Entrepreneurs. Its focus on audio techniques and the passion driving our industry's pioneers has made it one of our most popular series on RØDE TV, and we're extremely pleased to announce the release of the latest episode in the series. 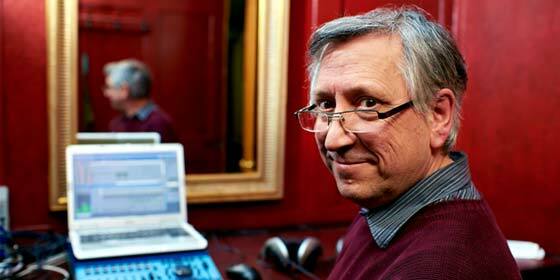 Tony Faulkner is one of the most prolific and respected sound engineers in the classical music field. Seen as a rebel by some and a pioneer by others, there is no doubt that Tony's passion for recording live performance has led him to introduce recording techniques that are used the world over across all musical genres. Tony graciously sat down with Peter Freedman to talk about how we started in the industry, how he developed his now universal techniques, and where he sees the industry heading.